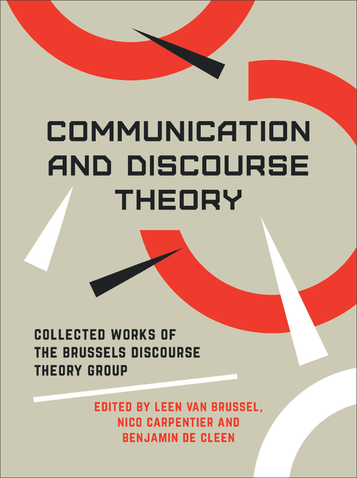 This volume gathers the work of the Brussels discourse theory group, a group of critical media and communication scholars who deploy discourse theory as a theoretical backbone and an analytical research perspective. Drawing on a variety of case studies, ranging from the politics of reality TV to the representation of populism, the book highlights both the radically contingent nature and the hegemonic workings of media and communication practices. The book shows the value and applicability of discourse-theoretical analysis (DTA) within the field of media and communication studies. This chapter discusses the discursive struggle between the Flemish radical right party Vlaams Belang (formerly Vlaams Blok, VB) and the so-called Flemish city theatres in Antwerp, Ghent and Brussels, who have been among the most active artistic opponents of the VB and have been the cultural institutions most consistently criticised by the VB. The chapter presents the results of a discourse-theoretical analysis of a 2005-2006 corpus of external communication of the VB and the city theatres, parliamentary and city council debates, as well as mainstream and specialised media coverage. An Introduction to Communication and Discourse Theory from Nico Carpentier on Vimeo. Kirill Filimonov & Jakob Svensson talk their chapter on a new articulation of feminist politics in Swedish electoral campaign from Kirill Filimonov on Vimeo. Benjamin De Cleen on cultural resistance to the radical right from Benjamin De Cleen on Vimeo. Communication and Discourse Theory: a discourse-theoretical approach to death and dying from Leen Van Brussel on Vimeo. Putting Your Relationship to the Test from Nico Carpentier on Vimeo. Bogaerts_Carpentier_The Postmodern Challenge to Journalism: Strategies for Constructing a Trustworthy ldentity from Jo Bogaerts on Vimeo. The particularity of objectivity from Nico Carpentier on Vimeo. The Articulation of “Audience” in Chinese Communication Research from Nico Carpentier on Vimeo. Articulating the visitor in public knowledge institutions from Krista Lepik on Vimeo. To be a common hero from Wim Hannot on Vimeo. Online barter and counter-hegemonic resistance from giulia airaghi on Vimeo. Itir.Akdogan.Chapter.12.Activist.Fanta.video from itir akdogan on Vimeo.